The participants are interesting and thought-provoking people from business, education, government, media and elsewhere. It’s exclusive-inclusive, the meeting is by invitation only, everybody is a speaker and a participant. We have no keynotes or panels. The meeting is specially designed for interaction, it is informal, personal and friendly. The goal is to meet, connect, exchange ideas and engage in discussions. Bloggers and journalists note: Chatham House Rule Applies, ie ideas can be shared, but don’t make attributions, quotes etc without permission by the source. 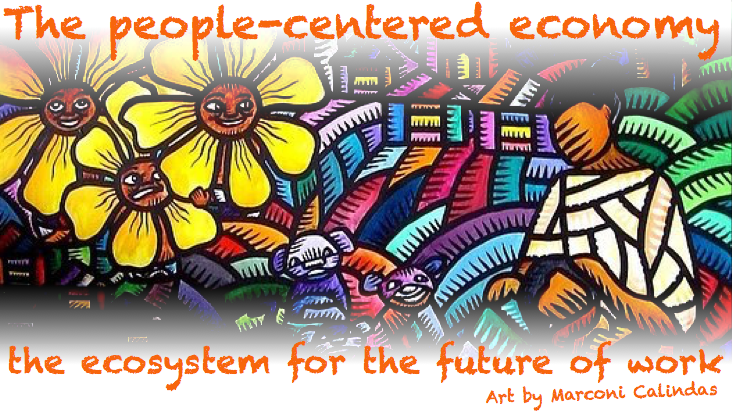 1 i4j Book: The People-Centered Economy – the future of work with the new ecosystem for jobs. i4j Book: The People-Centered Economy – the future of work with the new ecosystem for jobs. Where: The i4j office, Middlefield Road 565, Menlo Park, CA. 9:20 am i4j Book: The People-Centered Economy – the new ecosystem for the future of work. David Nordfors, Vint Cerf (authors/editors), Guido Van Nispen (publisher/co-author) + co-authors present in the room: V. Ferose, Anders Flodström, Chally Grundwag, Patricia Olby Kimondo, Sven Otto Littorin, Tess Posner. Pitches by startups and presentations by investors in the new ecosystem for innovating jobs.